TENS Rentals – Labour Support and Doula Services, Victoria B.C. Labour Support and Doula Services, Victoria B.C. TENS stands for-Transcutaneous Electrical Nerve Stimulation (TENS) Machine. The Elle TENS machine is a small handheld device that uses mild electrical impulses through the skin to stimulate nerve fibers. 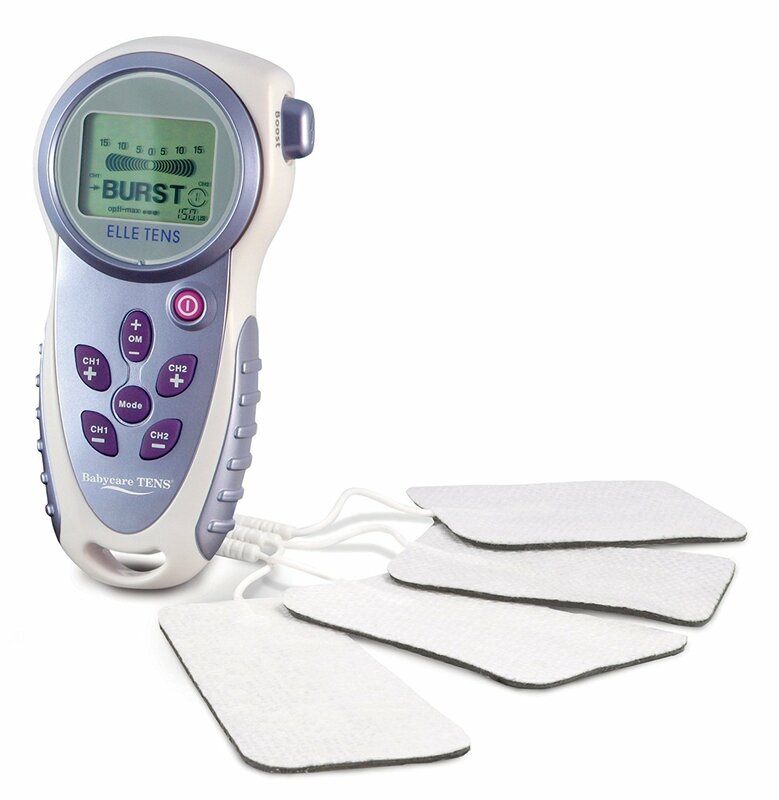 In labour, a birther can use a TENS machine to help reduce back pain while having full control over the machine and the impulses. The TENS unit premise? the Gate Theory of Pain Control- the unit’s pulses gently stimulate your sensory nerves to suppress or block the pain signal to the brain. When these pain signals are blocked by the brain, it becomes more difficult for it to register the sensation of pain (or it “chooses” the more comforting pulsing sensation). What I often observe in my laboring clients is the TENS seemingly helping them to feel in control, and significantly reduce their need for drug intervention. It’s also comforting for you to know there are no known side effects for you or your baby. There is none….All of the settings are pre-set, so you don’t have to do any “Brain-ing” when you’re in labor or postpartum. You have a regular setting that runs when you’re not having surges (Burst) and then a “Boost” button for when you feel the sensation of a contraction coming on, at which point the Gate Theory loop starts. The ELLE Tens has also been shown to help you release endorphins….VERY HELPFUL for labor and so great in the postpartum as we know endorphins, or our “feel good” hormones are precursors needed for oxytocin release which helps both you and babe in the postpartum”. You can use the TENS at both home ( except for when you are in water- ZAP! )or hospital births and no additional hookups are required beyond those I give you so cart it anywhere. So how long can I have this glory box for? Each rental is for about 5 weeks. I get it to you by around 37 weeks ( it’s not reccommended you use the unit before 37 weeks because it does stimulate acupressure points that could stimulate labor so this is the rationale) . You can keep it for about 2 weeks postpartum. $60.00 for 5 weeks. With this you get a manual, fresh set of electrodes and the TENS unit. Everything you need. Further Questions? Please feel free to call or email me should you have any additional questions and I’m happy to answer them.